Accuracy: +0.2 to 3 Gms. Max Weighing Speed: 100 Pouch per Min. Weighing Capacity: 10 to 2000 Gms. 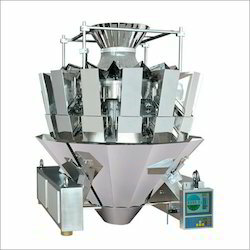 We offer 4 head, 10 head and 14 head Multihead Weigher. Capacity: 50-80 pouch per minutes. Power Consumption: 6.5 KW 415 Volt 50 Hz. Packing Material: Kurkure, Puffs, Potato Chips, Grains Ets. Products: Tea, Coffee beans, Rice, Sugar, Toffee, Chips, Flakes, Pulses, Snack food, Granules, Biscuits, Dry fruits, Nuts etc. 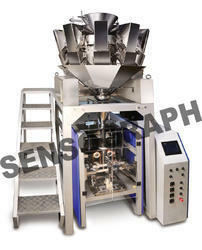 Weighing capacity: 10 to1500 Gms.